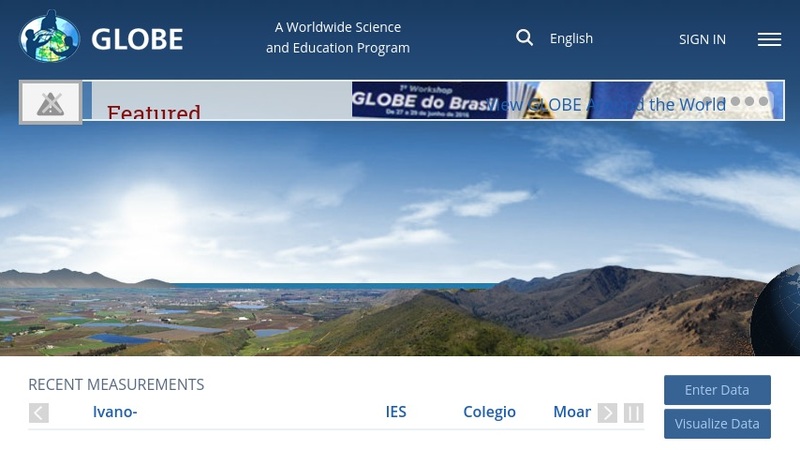 GLOBE (Global Learning and Observation to Benefit the Environment) is a worldwide, hands-on, primary and secondary school-based science education program. Students can learn to take scientific measurements in the fields of atmospheric science, hydrology, soils, and land cover. They can report their data through the internet, create maps and graphs to analyze the data, and collaborate with scientists and other students around the world. For teachers, professional development workshops, "how-to" videos, and a help desk are available. The site is available in several languages, including French and Spanish.